This villa located in Sardinia has five bedrooms and bathrooms, a heated pool and a pétanque court. More Americans are taking the leap to buy that overseas pied-a-terre they've been thinking about. Combine that with the strength of the U.S. dollar creating favorable exchange rates, and deals abound. For example: A €500,000 home cost around $683,000 last July, according to Knight Frank. Now, that property has a price tag of roughly $558,000. Experts identified France, Spain, Italy, Germany and Canada as markets being pursued by American buyers. 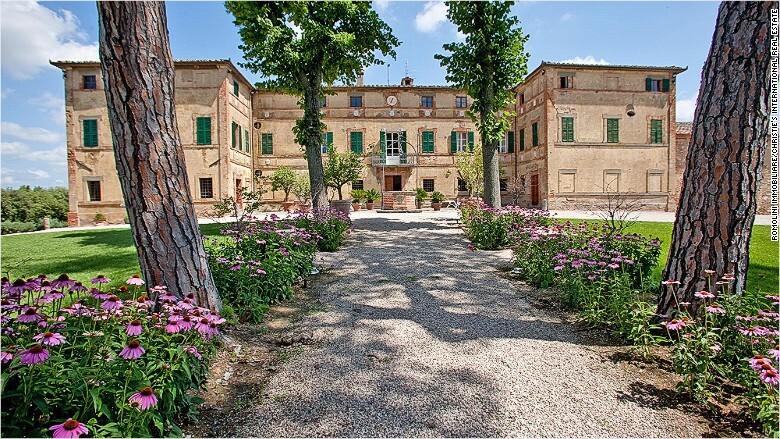 This 10-bedroom, 8-bathroom wine estate in Tuscany is for sale and features vineyards, a winery and an olive grove. 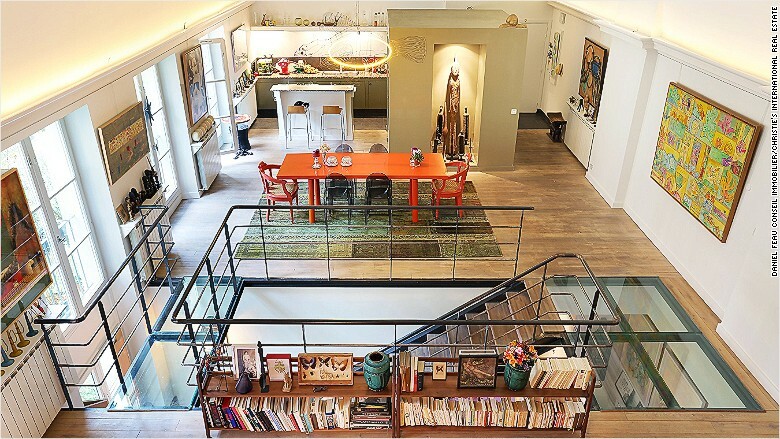 Paris is also seeing increased activity: today, 19% of Christie's buyers in the capital were American, up from 14% in 2010. Spain and Italy have had a slower economic rebound, which means better discounts and opportunities, according to Conn. For example, Sardinia, an island off the coast of Italy, has experienced little buying activity since the downturn ... until now. "You are starting to see emerging interest from U.S. buyers," Conn said. Interest in rentals in Italy started to rise last year, and that's a strong indicator that sales will follow, said Rupert Fawcett, head of Knight Frank's Italian desk. "I am not expecting the flood gates to open, but the tap had very much been switched off over the last four to five years, so to see any American interest coming back is already an increase." Spain, which has been a popular market for Europeans looking for a vacation home, is starting to catch the attention of Americans, particularly Barcelona. "It's a hybrid city and resort," said Conn. There's also been discussions of a new luxury waterfront development in the city, which could increase interest. London is also seeing increased attention from American buyers, but the conversion rate to a sale is still relatively low, according to Jennet Siebrits, UK head of residential research at CBRE. "I think once the U.K. general elections are out of the way, that might be a catalyst." In Latin America, Brazil is an attractive option for U.S. buyers, according to a report from Christie's International Real Estate, due to deflated property prices and a drop in its currency.